There was no shortage of hype surrounding Valve's SteamOS, but almost two years after the initial release, it's fair to say that the fledgling gaming operating system has struggled to live up to expectations. So what's gone wrong? The software is free and open source, it promises to bring a library of PC games to your living room, and the hardware powering the latest Steam Machines makes games consoles seem primitive in comparison. 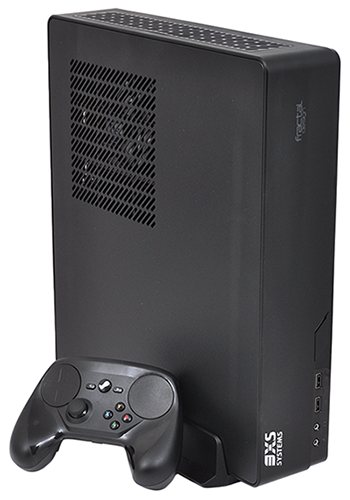 To unearth the answers and get a feel for SteamOS as it stands today, we have a Steam Machine review sample from one of the UK's most highly rated system integrators, Scan Computers, who has kindly sent in the 3XS ST15 for evaluation. Priced at £850, the 3XS ST15 targets the upper end of the Steam Machine spectrum but arrives with a straightforward ambition: according to Scan's product brief, this is essentially a "small-form-factor system that enables gamers to enjoy their favourite PC games and media from the comfort of their sofa." Sounds right up our street and we're happy to see that Fractal Design's Node 202 chassis has been used for the framework. The HTPC enclosure showed promise when it went under our radar back in July, and it's a solid choice for a living-room-friendly machine. A choice of horizontal or vertical orientations provide extra versatility, and at 377mm x 88mm x 332mm in size the case isn't particularly big for a high-end PC. As you'd expect at this price point there's a good dollop of power beneath the hood. 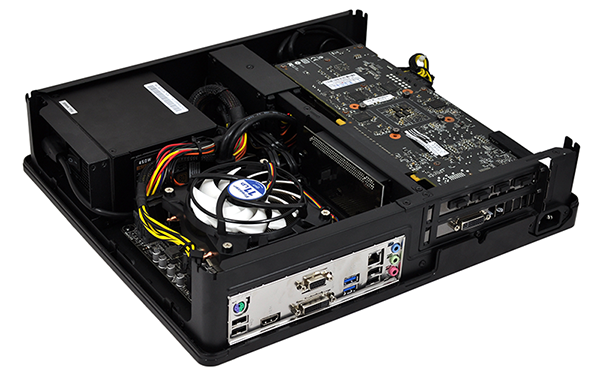 Scan's default specification includes a mini-ITX Asus H110I Plus D3 motherboard, an Intel Core i5-6600 processor, 8GB (2x4GB) of Corsair Vengeance DDR3 memory and a 4GB EVGA GeForce GTX 970 SSC ACX 2.0+ graphics card. The stock-clocked Intel CPU is cooled by a low-profile Arctic Freezer 11 LP and Scan has chosen not to add any additional fans, so it's up to the EVGA cooler to keep the graphics card running smoothly at all times. 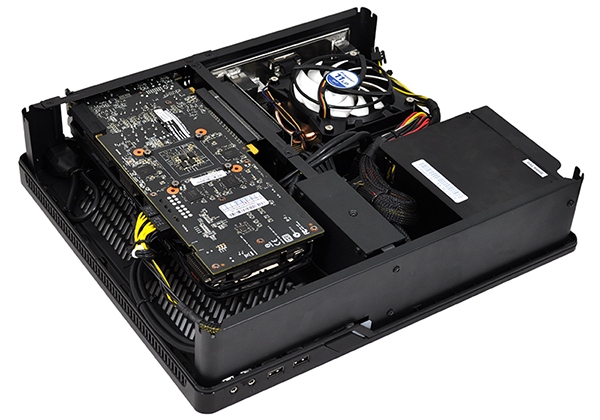 Elsewhere, the power supply is the standard 450W Integra SFX unit that ships with the chassis, and storage is provided by a 250GB Samsung 850 Evo SSD. This is a hardware combination that ticks most of the right boxes for a powerful living room PC, however there are a couple of question marks. Firstly, the default Asus motherboard doesn't come equipped with Wi-Fi, so if you don't have a nearby Ethernet connection you'll need to splash out on an optional wireless adapter, and secondly there's no Blu-ray drive, which may be a bugbear if you're looking for a one-stop replacement for a games console. Whether or not a 250GB drive is sufficient for a gaming machine is another item up for debate, however there are a number of configuration options on the 3XS website, including a 1TB HGST hard disk (a £44 upgrade) or a 1TB Seagate SSHD (a £60 upgrade). 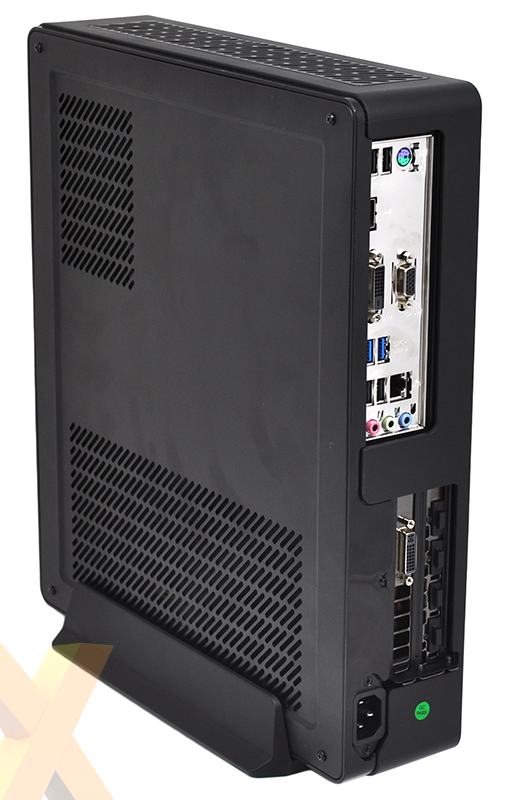 Either option would make sense as a secondary drive for gamers with a large library of Steam titles, and save for a few fingerprints on the chassis, Scan's build quality is neat and tidy throughout. The other element of note is the Steam Controller, which is included in the bundle as standard. Well publicised for its touchpad-like control mechanisms, the controller takes some getting used to but proves an able companion after an initial adjustment period and copes particularly well with text entry. 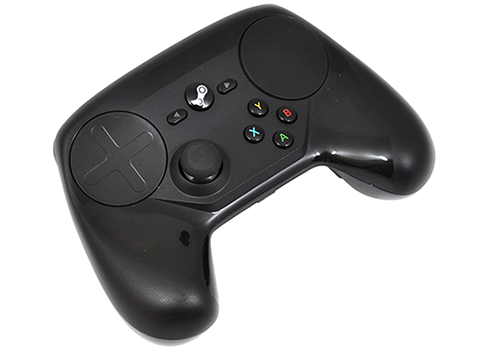 Taking a novel approach, SteamOS uses a split on-screen keyboard whose keys can be navigated using the touchpads and pressed with the controller's left and right triggers - it's a clever idea and one of the best joypad-based text entry mechanisms we've experienced. If there's a disappointment it's that the final controller is a far cry from initial concepts that included an integrated touchscreen. The end result, in our estimation, is no substitute for a keyboard and mouse when it comes to competitive gameplay or productivity, and not quite as pick-up-and-play friendly as an Xbox joypad for casual gaming. Case in point, we've had the Steam Controller at our disposal for a week but have preferred to use a Corsair keyboard and mouse that happened to be lying around. And that seems to be the problem surrounding the Steam Machine platform as a whole. It's something most gamers would want to try, but there's no headline feature and nothing enticing us to make SteamOS our primary platform of choice. Seemingly aware of this uncertainty, Scan offers an optional dual-boot configuration to give users the choice of booting into SteamOS or Windows. Our review sample handily came with both pre-installed, so let's take a closer look.